Our shop in Novato, CA uses the latest auto repair technology to get your European vehicle on the road safely and quickly. Whatever your European auto repair or auto maintenance needs, look no further than Marin European Auto Service! Get in touch with us today! 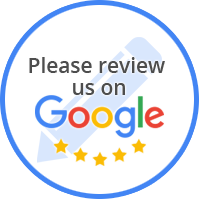 At Marin European Auto Service, serving is our business and quality is our standard, we provide our customers with the satisfaction and prestigious service they deserve. Whether your vehicle requires major repairs or is due for maintenance checks, Marin European Auto Service is qualified to handle it all. 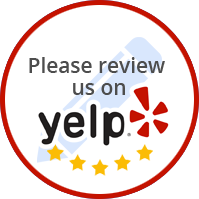 All our technicians are highly experienced and trained and know exactly how to address all auto repairs and car services. For all European vehicles, we stick to the manufacturer’s guidelines. Not only does this ensure your car is repaired correctly the first time, but it also helps keep your car on the road as long as possible. So, if your car is giving any trouble or requires major repairs, get in touch with Marin European Auto Service. We are here to help our customers in any way we can. Come to Marin European Auto Service for all your European car repair needs, or give us a call today! “Originally, I took my 2008 BMW 328I into Sonnen BMW because my right blinker wasn't working. At that time, they informed me the light gasket and bulb needed to be replaced and I purchased the items as suggested and believed the problem was solved. A few days later, the blinker went back to not working. When I contacted Sonnen, the representative suggested I drive down and bring it in at 4:30 pm. When I arrived, the tech (or representative who greets you when you pull your car in) asked if I had an appointment and I stated the lady told me to bring the car in at 4:30 so yes, I believe I have an appointment. It was apparent, there was some confusion and the guy was a bit frustrated. Once I explained the problem, the individual called one of the mechanics over to look at my light. After about three minutes the mechanic looked at my light and said it needed an entire new light replacement and the cost would be somewhere to the tune of over $1,000. I finally I dropped my car off on my way to lunch and when I returned some (40 minutes later) Mike fixed the issue and didn't charge me ONE DIME! He explained it was some little minor issue. He never spoke one ill word against the other mechanics who obviously didn't look at the problem. (Another sign of good character) and he just quietly explained what he did and said no charge.. I can't express how grateful I am for his generosity. It's not often you run into people who actually care and do good deeds. 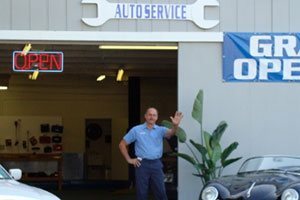 Please take your business to our local Novato Business 'Marin European Auto Service' and see Mike. He's and honest, kind person and I'm SO grateful I found him. “Michael, the proprietor, is my newest knight in shining armour. Getting a used MINI with the warranty still intact seemed like a good idea at the time, but the problem is there aren't any MINI dealerships in Marin. Luckily Michael has the magic computer that speaks to my machine. She's having a mysterious, intermittant tire pressure issue. Michael has twice saved me from having to bring my lame, limping girl into the SF dealership, which doesn't have great Yelp reviews and is very inconveniently located. (Two strikes BMW of San Francisco.) Both times Michael gallantly declined payment. In return I've promised to bring in our Z4 and the MINI (once the warranty has run out) and actually allow him to make some money from us.